Lands & Peoples was recorded in the high desert of New Mexico between Jan & March of 2015. Thematically, it is both a very personal & “outward” looking record, as well. I’ve spent most of my adult life on the road. I joke with people, when on tour, that I had to join a band to get out of the South. Now, 60 plus albums and a million miles of road, it’s in the blood. Directions are crucial. It’s always good to know where one is. Hearts fail for fear & grow cold. A certain malaise & confusion reigns. Yep, from every quarter, leadership has failed us. And Money has spoken all too arrogantly. is wounded, burdened, even haunted. The task that lies before us of healing (and redirection) seems impossible, endless. of possessing an inflated sense of self-importance. If that sentiment is your inclination well, all I can offer is a “you’ll just have to trust me on this one.” In a day and age where everything from politics & religion has been reduced to bumper-sticker or facebook meme phras-ology, we tend to be not so much knowledgeably informed as conduits of simplistic notions. But that’s another post. My vantage point is more like that of a concerned traveler; one with an ear to the ground, and an eye to the skyline. One with a guitar & notebook in hand. I’ve explored similar themes on past recordings. But, the songs on Lands & Peoples (at least for myself) were a new starting point for me. The writing & recording of these songs (some 40 written in all) provided me with something of a space. Something like a tract of land or a harbor…in the end, a sanctuary. You drop anchor & look at the coastline of the past. The Past. Modern man is usually busy charging beyond the past. Somewhat blindly, I think, he presses on to a future that, at best, is shadowy, suspect and charged with nuances of the apocalyptic. ~ a small parcel on which to mourn the lives that were lost in this mad, uncritical rush to the altar of modernity. What did we lose? What did we fail to keep? And are such things lost forever? I think about these things. I think about them a lot. What I think is that it’s important to let the Past interrogate us. Our own Greed & Fear dictates our path far too often. The grim alibi of pragmatism (“It was for convenience’s sake”) is tragically employed. Maybe there’s a bright side in these songs as well. Me? I’m always looking for a skeleton key to let a few of the better angels of my nature (if such things exist) to show forth. Healing is often found closer to home, and maybe after such a finding, it never leaves. Maybe, after we let the Past interrogate us, there something like a cleansing; one with a more sober vision that is birthed inside of us. Perhaps, it’s like making a good confession. “Go…and do better next time. We need you out there,” saith the Lord. If our country is wounded, burdened and haunted then educating ourselves can’t hurt. Nor can employing the lost virtue of listening compassionately to one another. Of actually “seeing” one another. The jury may be out but perhaps Love, Compassion, Prayer & Diligence may still carry the day. And I betcha a little Courage will go a long way. “Grace…and dirty fingernails,” my friend Dwight Ozard always use to say. But, first there’s the field of one’s own heart to tend to. Personal & social sins to “call out,” confess & repent of. It’ll keep us busy. After all: We’re correcting our mistakes on an exam we’ve all failed. After that, there are our own spirits to refresh, re-focus & nurture. Hope to be refreshed and then hands to be placed upon plows. If good things start in dreams, let the dreaming begin. Perhaps, these songs were a way of doing that for myself. Perhaps that’s their only value. Because after listening, you may still find yourself to be more of the calculated, “realist” temperament. Ah, well, to thyself be true then. The Good Lord knows, I’m not the first to voice such observations. one birthed, brought to life after much travail, and finally sustained by changed hearts. In every dark age there have always been a few dreamers. 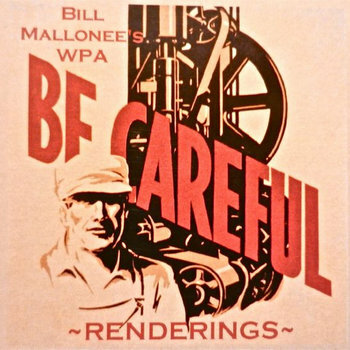 “The WPA series of recordings (there have been 20 installments over 4 years) was born out of situations both external & internal. Life, in its ideal, is lived by compass points & co-ordinates. Having something to navigate towards is a blessing, I suspect, we too often take for granted. After the dissolution of my first marriage & the “disowning” of my work by a certain cross-section of previous fans, I found I was without label, manager, booking agent or any of the resources that I had to make records & tour with. I had labored long & hard for over 10 years, writing, recording & touring. Now, it all appeared to be in shambles. There is no doubt life as an artist can be “hard.” The life that seems so alluring & fulfilling often has unseen “price tags.” For artists there are “never any guarantees” about how things will fall out. These things happen daily to all of us, of course. I am under no illusion. No one is exempt from life’s harshness. Still, as one who at that point had spent 10 years in a van, young, hungry and willing to please, the overwhelming sense of dis-ownership by fans over my divorce was heart-breaking. All of this was taking place while each new release was being praised, each new tour was seemingly successful. Call it a “run of bad luck, ” but the litany of other betrayals both personal & professional was sobering. All of it? A wake up call.There was also such a thing as disgust with one’s own self. Not a new issue, but a chronic, if not neurotic, sense of guilt and failure had been driving my psyche all through college and well into my first years as a husband and new father. The unsuccessful attempts to tune out & stare down such dark intrusions was a candle burning at both ends. I suspect songwriting was always an attempt to “make sense” of a world within in which I often felt invisible, if not outright dammed. “Bad religion?” The most destructive thing on the planet.Sometimes you make songs just to keep the dark away. That was one of the impetuses behind my approaching song-writing differently. With no band to help or abet the fleshing out of new songs, song composition was to become a more solitary venture. Anyway, in this desert-land of self-doubt & discouragement the Works (in) Progress Administration EPs were “born.” I have always written a great deal. These recordings, consisting of 5 to 8 sings each, emerged about every 3-4 months. A limited, simple Zoom 4-track recording device became a path out of the sad terrain. The songs came fast. The lyrics, faster still. Quick audio-sketches, hit with authority. Postcards from the terminal ward. Suddenly, (and almost effortlessly) a new world opened up. I now had the chance to write & record secondary & tertiary guitar parts, weaving them harmonically and responsively with one another. For hours on end I would play parts over & over (driving Muriah crazy, I’m sure!) until some new aspect, some new musical statement was realized. 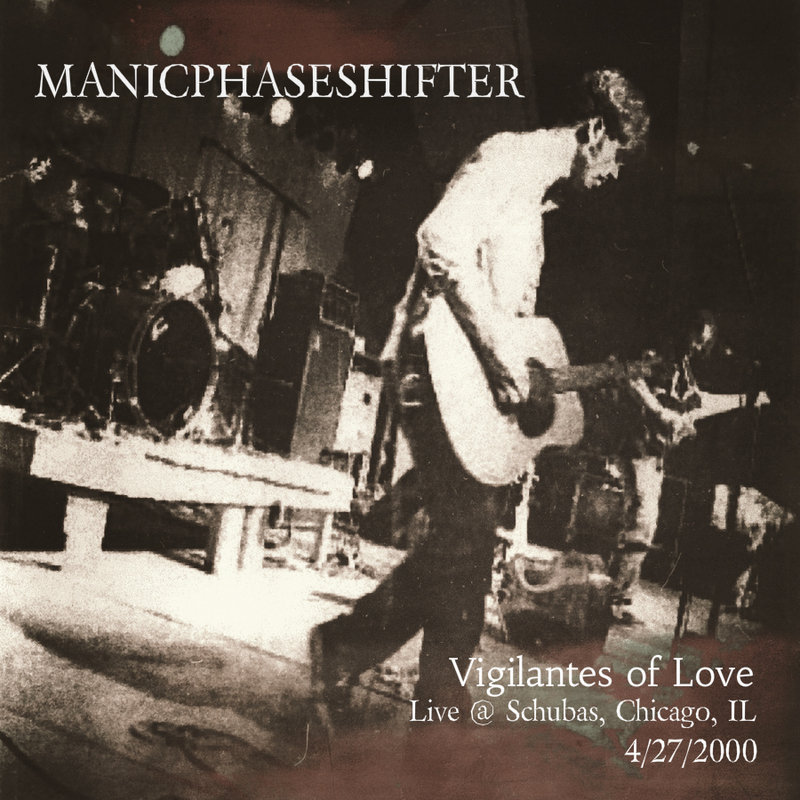 Lyrically, I wanted vulnerability & immediacy to be the hallmark in these songs. whether they were of a confessional, or grieving, observational or cathartic nature, I was having fun again. Songs were fleshed out, more parts added. I experimented with what sort of melody lines should be allowed to “speak” in a song, what weight to give to vocal phrases. Things like this opened a whole new world of just “what” makes a song a wonderful thing. aybe God “loses” nothing in our lives. Perhaps the place where our new-found “wisdom” and experience meet, while intensely personal, is something that has to be journeyed through in order to become real and lasting. I know that the best “sermons” are the one’s you write and preach daily to yourself. 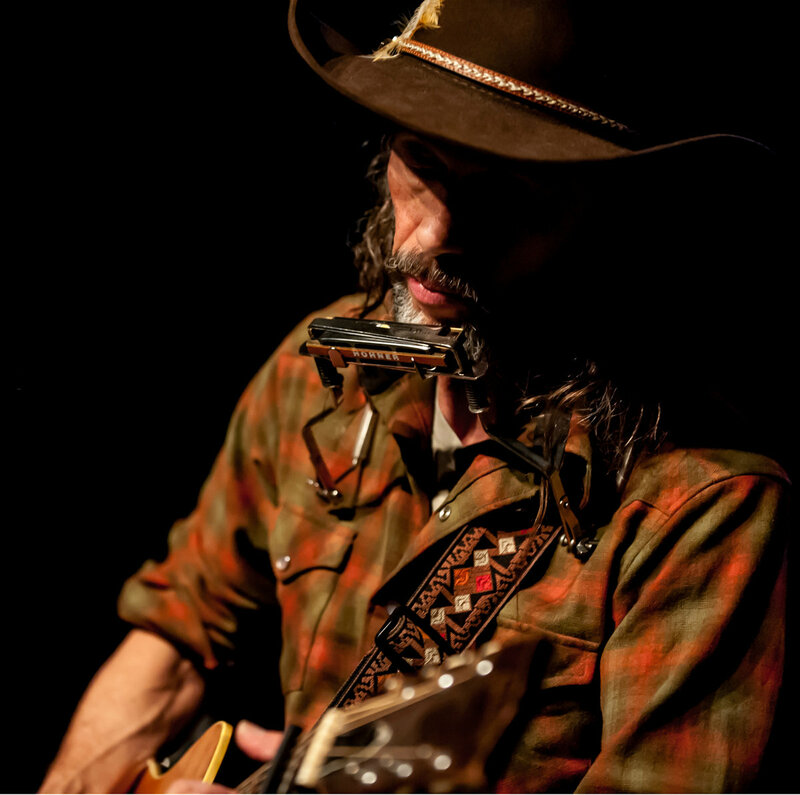 Whether it was through my guitar arsenal of an ancient Gibson, a beat-up old Spanish guitar, or a 50 year old arch-top that one had to wrestle into submission, or raw Neil Young “Harvest” era electrics, I was becoming free inside and more confident with each WPA offering. In the process, I was able to trust my intuitive sense, my gut level. All became effortless again. “Renderings” is by no means the totality of musical landscapes that I was traversing, locked away in a small room with guitars & coffee. There were easily 50 to sixty songs written during this year. 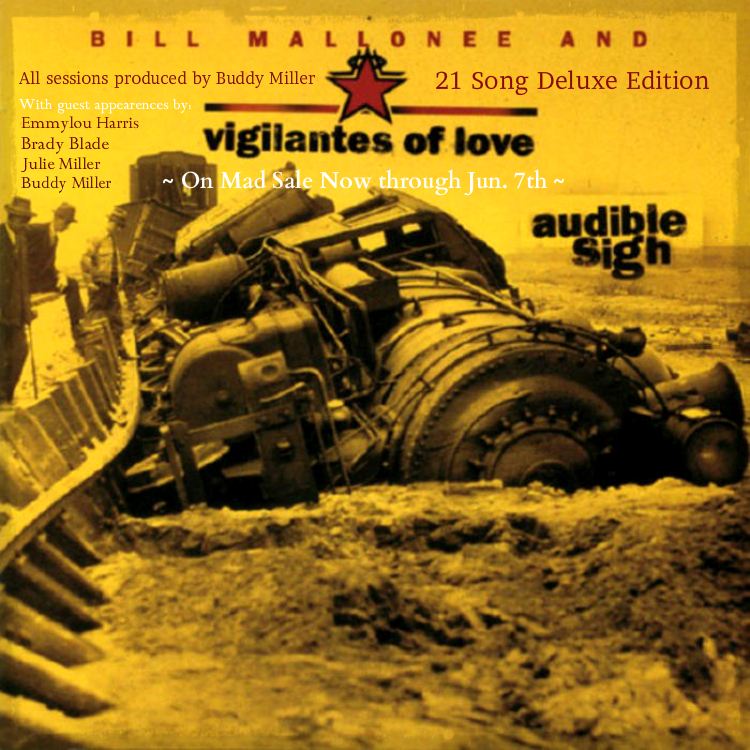 But these selected tracks from Volumes 1-4 do represent some of the mile-markers that I crossed as I tried to regain a sense of self. Call this all a “small” experiment. “Self-absorbed” was putting it mildly. Still, the anodyne these songs yielded brought confidence back and were the catalyst to creative growth and my soul’s integration. It goes without saying that the themes of grief, wayward humanity and (finally) hope surfaced here. After all the work, and the settling of dust, I found I could draw an affirming breath again. I’ve never lost sight of whatever gift or grace was extended to me during this time. I don’t know whether it was something wrestled from the hands of angels, as I was driven to create something new from the wreckage of my past, or it was something more like pure gift making itself manifest in my work. I was able to breathe something that was invigorating…and full of new possibilities. If you choose to drop in on the record (It’s up for free listening at the site below) I hope you enjoy the excursion as much as I did. 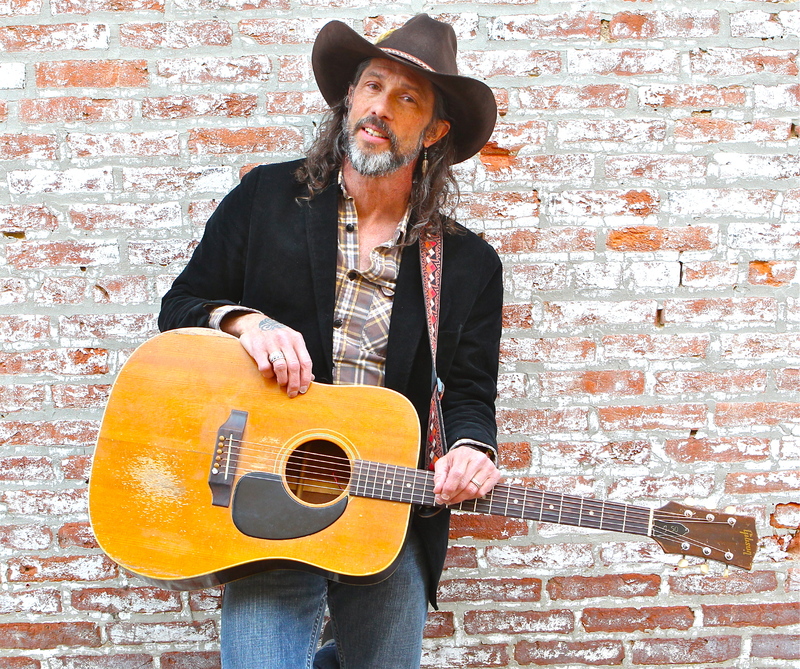 Bill Mallonee: acoustic & electric guitars, vocals, bass, drums, harmonicas, piano. 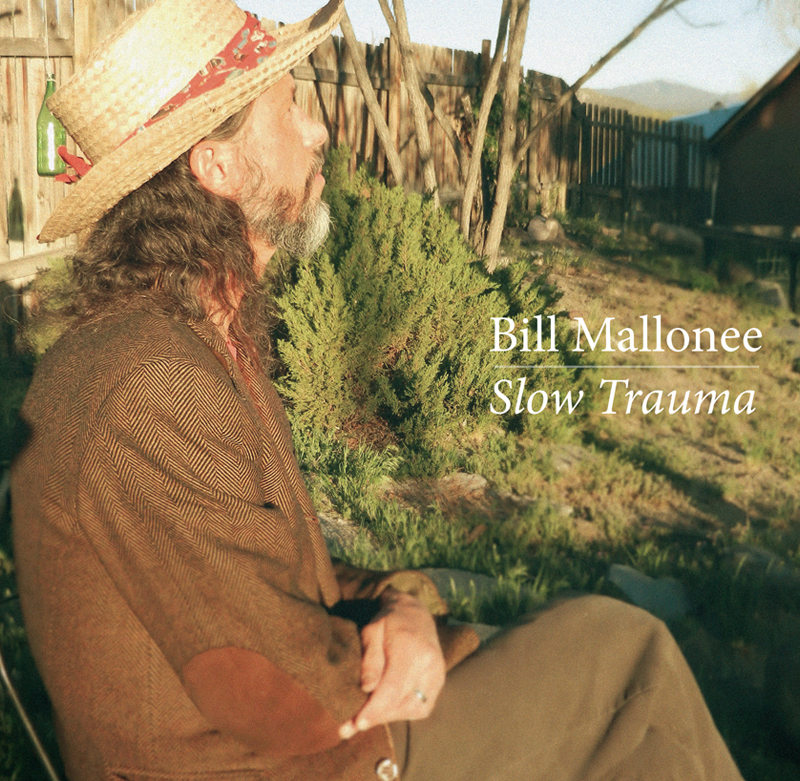 Bill Mallonee: acoustic & electric guitars, vocals, Bass, druns, Harmonicas Piano.